To date, you’ve been a writer, editor, literary judge and esteemed lecturer in writing. How important, do you think, is it for a writer to be immersed in not only the written word but also the industry? Are such additional roles both an endorsement of the author, and yet also a vital part of giving back to the industry? I think there’s an advantage in being involved in a range of interconnected activities because you’re seeing writing at its inception through to publication. You have an overview of what’s happening with writers and writing at a specific point in time and at a particular place. I guess you build a database in your mind which allows for comparisons in terms of what is achieved in the writing, what are prevailing interests and how these shift over time. I do think in terms of ‘giving back’ because there’s a certain expertise which is achieved over decades (and indebtedness) and as a member of a community I think it’s important to contribute where you can. 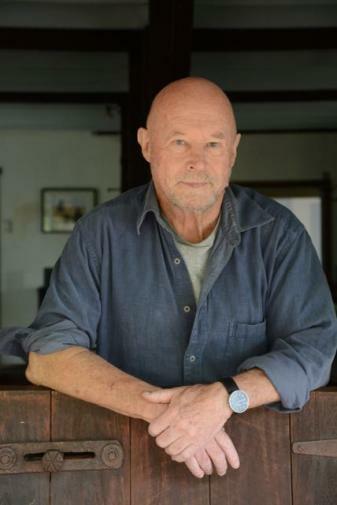 Western Australia has a long history of literature in which you described ‘the landscape is seen as part of one’s being.’ It struck me that your writing both embodies this tradition, and yet seems also fuelled by a greater interrogative and philosophical voice, wherein the landscape answers back not as a threat, or irresistible force, but as part of a greater puzzle. Do you think there’s scope for more similarly inquisitive approaches to the Western Australian landscape? My feeling about landscape and ‘place’ in much Australian writing is that the cities—by and large— don’t cut it in terms of providing a deep sense of belonging, of identity. They’re too new. So instinctively we head to the land, to the ancient geographical and geological formations which speak so loudly and distinctively to a history that we struggle to encompass—and yet are drawn to again and again. As for my own writing, there was not a very conscious or deliberate decision to engage with landscape as place—but I did know that I wanted to push beyond the literal into the symbolic and metaphoric. There didn’t seem to be any other way of proceeding. Of course, this interest in no way invalidates differently focussed work: the urban novel and so on. In relation to an ‘inquisitive approach,’ I think there’s room for a more interrogative investigation into Indigenous writing, history and identity and how to place a ‘white’ self in relation to it. In other words, I think, in terms of ‘country,’ we’re only scratching the surface. How to go beyond this is a significant challenge. As a lecturer, you’ve ushered in many previously unpublished voices of Australian literature, such as Amanda Curtin, Annabel Smith, and now Nicole_Sinclair. What was it about these authors that you spotted immediately, upon reading their work? This is a complex question (like the rest of them!). Writers and writing are of course distinctive and individual. I guess there’s a quality common to all good writing which is about voice and authenticity. Even though difficult to define in the abstract, I think it’s something you recognise quite quickly. Within the academic setting of a PhD you’re looking at a relationship of 3-4 years and so the writer—as far as it’s possible to separate the two (i.e., from the writing)—is central to what one ‘spots.’ There has to be a clear sense of commitment and focus and a mutual belief in the project, respect for each other, an understanding that both supervisor and student are after the best possible outcome, the best book that can be written. I also strongly believe in aiming for a publishable work, from the outset. Many have been vocal on the viability of writing as something that cannot be taught in a formal setting. What are you own thoughts? I think there’s a lot that can be taught—in both the short and the long term. Especially so- called technical aspects like structure, point of view, tone etc.and even vocabulary. But I also believe there’s something beyond this level which is difficult to define, which lifts writing into another realm where we want to use words like ‘original,’ ‘distinctive,’ ‘exciting’ ‘different.’ The descriptors may apply at the sentence and paragraph level and beyond into the larger order issues of subject matter, characterisation, use of genre and so on. I don’t think you can teach this; it’s more in the realm of a creative ‘gift’ and is probably inseparable from the individuality, the personality of the writer. How do you see life and writing balance up in terms of prioritisation? Can (and should) one ever take priority over the other? Does this change dependent on the stage one is at in life? Is it even beneficial or possible to separate the two? Richard_Rossiter lives in Perth, Western Australia, and is an Associate Professor at Edith Cowan University. For several years he lived in a bush dwelling in the south-west of the state where he wrote full-time. His previous book-length work was Arryhthmia: Stories of Desire (UWA Publishing, 2009). He has judge the Margaret River Short Story Competition on a number of occasions, and edited the short story collections: The Trouble with Flying and other stories (2014); Knitting and other stories (2013); and Things That Are Found in Trees and other stories (2012). He is a consultant editor for Papers and has been the fiction editor for Indigo and Westerly. Richard’s latest work of fiction is the novella, Thicker Than Water (2014).